York - Travel by train - London to York takes under two hours. Edinburgh two and a half hours from York. Direct services run from Liverpool, Manchester, Birmingham and the South West. Station Road, York, YO24 1AB. Also see York tourist and travel information. Adjacent to York Railway Station. This 4-star hotel is in quiet gardens, next to York Rail Station and looking out over York Minster. It has stylish rooms and a sauna, steam room and heated indoor pool. The Royal York Hotel is 600 metres from the shops and attractions of the city centre. The modern en suite rooms have TVs, tea/coffee, trouser presses and work desks. Each room has a power shower and a hairdryer. The Royal York's modern health and fitness club has a spa and a well-equipped gym. The stylish Tempus Restaurant and Tempus Bar offer modern British food and international dishes. Within walking distance of the city centre and less than 350 metres from York Rail Station, the hotel offers comfortable, great-value rooms and some limited free parking. Premier Inn York City (Blossom St North) is close to all of the city's restaurants, bars, shops and attractions, including York Minster, the National Railway Museum and the historic city walls. The hotel has a 24-hour reception desk and all rooms have satellite TV and telephone/modem points. Some rooms can take 2 adults and up to 2 children (under 16 years). The 2 children also get a free full breakfast when accompanied by an adult eating a full breakfast. An all-you-can-eat buffet breakfast is available each morning and includes scrambled, fried, poached or boiled eggs, and pork or vegetarian sausages. There is also a wide continental selection. The on-site restaurant offers good food and drink at great-value prices. York Train Station is within easy walking distance. In York city centre, Premier Inn York (Blossom St South) offers modern en suite rooms and a 24-hour reception. On site, Premier Inn York has a Table Table restaurant, offering a varied menu. The full all-you-can-eat breakfast includes cooked items, vegetarian options and a wide continental selection. Within easy reach are York Minster, the National Railway museum and the historic city walls. Station 0.5 miles. This newly refurbished hotel at the gates of the historic walls is close to the main shopping area, attractions and nightlife. The bar serves light meals and snack 24 hours a day. Ibis York Centre is a short walk from the main train station and the National Railway Museum. It is the closest branded budget hotel to York Racecourse. Facilities include en suite rooms, a 24-hours reception, a bar and the Ibis Cafe that serves breakfast, lunch and dinner. There is Wi-Fi internet access and limited free car parking. Just a 5-minute walk from York Train Station. Ideally situated, family- run Wheatland Lodge Hotel offers good value accommodation, just a 5-minute walk from York Train Station and a 10-minute walk from York's historic centre. 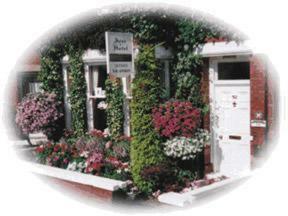 All of the comfortable rooms are well furnished, with en suite facilities and a TV. An inclusive full English breakfast is available to guests. Wheatland Lodge Hotel has a spacious bar lounge, hosting regular live music, where guests may relax with a drink. There is also an inviting dining room, serving evening meals. Local attractions include York Minster, The York Castle Museum and York Dungeons. Free parking is available to guests. 15 minutes' walk from the station. This licensed, award-winning B&B is located on a quiet residential street only 10 minutes' walk from the city and racecourse, and 15 minutes' walk from the station. 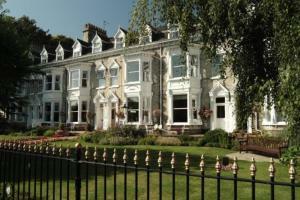 The Acer is noted for friendly, professional service, extremely high standards of house keeping and superb breakfasts. The Acer has been awarded 4 stars by Visit Britain. York rail accommodation. Station 0.6 miles. Set in 1.5 acres of beautiful gardens, the Ambassador is an ideal centre for sightseeing.